This is probably the best looking rack for the Scrambler on the market. 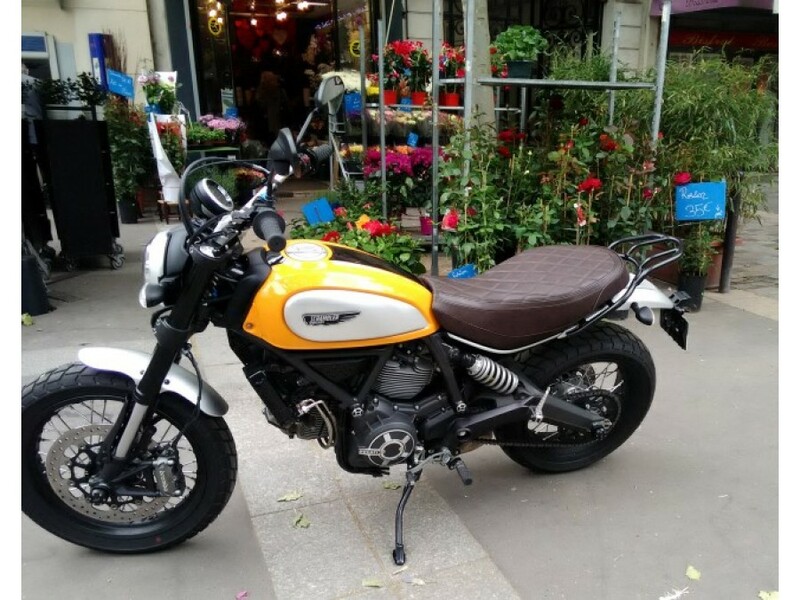 Being designed specifically for the Scrambler it suits the looks of the bike perfectly without the industrial look of other, more universal offerings. Made from 7020 aluminium, with 5 kg load capacity. 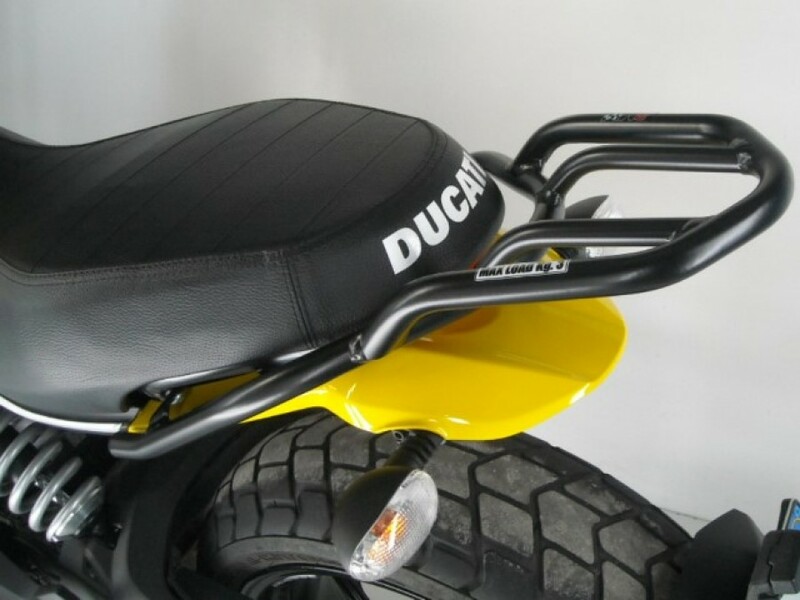 Also provides had grip for pillion passenger as well as strapping point for luggage / bags. 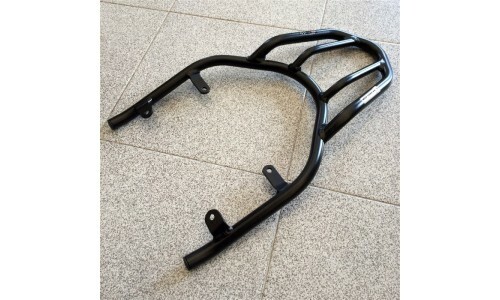 Available in black powder coated finish. Note 1: This rack cannot be fitted in conjunction with side pannier frames (i.e. Ducati OE, Hepco & Becker C-Bow, Givi, SW-Motech Legend Gear, etc. ), but can be used with the SW-Motech Blaze Panniers. 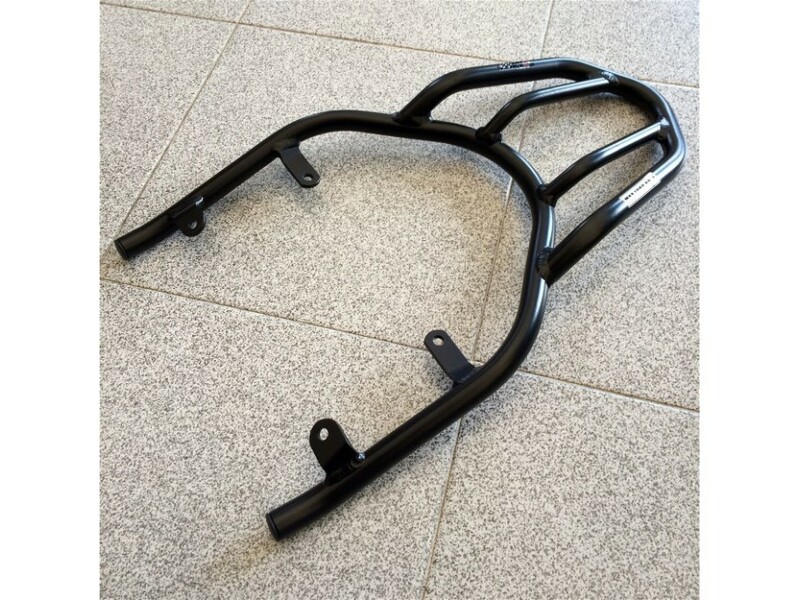 Note 2: This rack is not compatible with the Termignoni high level exhaust, or other level exhausts that use the same subframe mounting points as the rack. Note 3: This rack is not designed for use with a top case. Click here for larger photo of black rack fitted.